The Steve Miller Band (SMB) is an American rock band that formed in 1966 in San Francisco, California. The group is fronted by its namesake who also handles guitar and lead vocals. The SMB is best known for a series of mostly mid-1970s hit singles that are staples of classic rock radio. In their early years the SMB briefly explored acid rock. 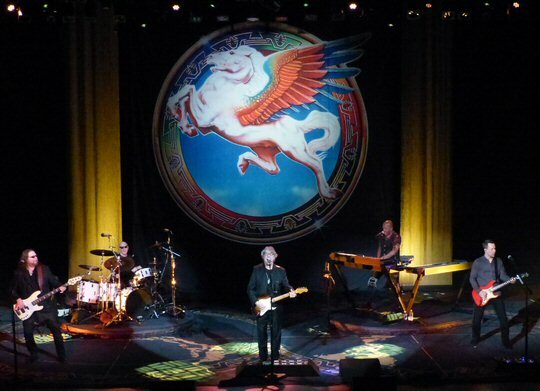 The Steve Miller Band is still a popular group on the touring circuit so it's no surprise that upon their return to the legendary Ryman Auditorium in Nashville, Tennessee they sold out two consecutive nights. The Steve Miller Band takes the Stage in Nashville. On both Friday and Saturday, March 24 and 25, 2017 the polished and popular Marty Stuart and His Fabulous Superlatives opened for the SMB. Steve along with his talented team will remain on the road for much of the year with an upcoming summer jaunt where they'll be joined by fellow rock god Peter Frampton. "Peter and I first met at Olympic studios in London in the late sixties when we were both just starting our recording careers," said Miller. "He was a wonderful guitarist and songwriter then and he is even more so today. Over the years, we've played together in venues from theaters to football stadiums and everything in between. He always sets the musical bar high, his band always knocks me out, and I'm thrilled we are going to spend the summer together doing a great run of concerts. This is the kind of quality and talent we both strive to present and I'm looking forward to a summer of great music, exceptional performances and fun. Peter is remarkable musician." 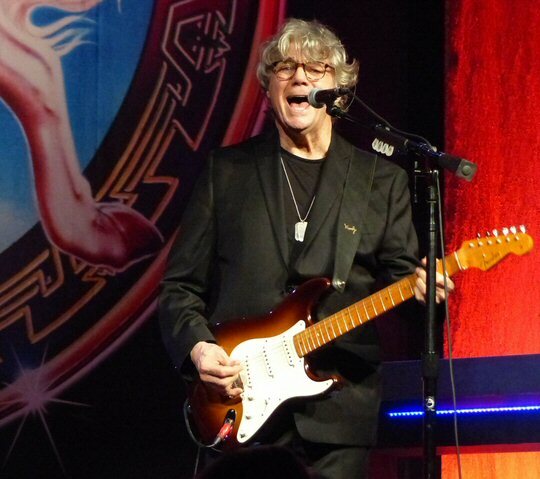 Steve Miller played two sold-out engagements at the Ryman in 2017. 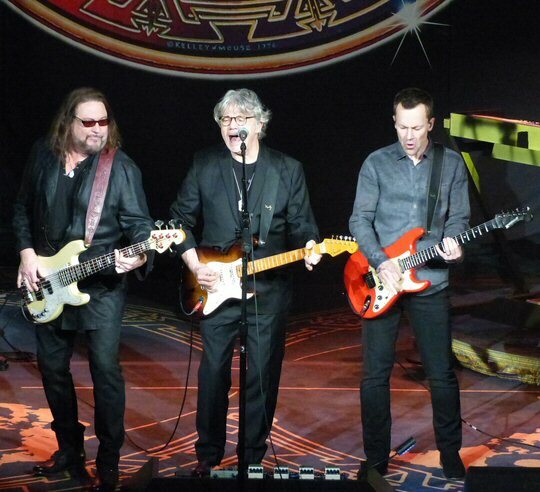 The Steve Miller Band has played to more than 15 million people in the last 20 years. In addition to touring with his band, Miller is also contributing his time to serving on the welcoming committee of the Department of Musical Instruments of New York's Metropolitan Museum of Art and as a board member of Jazz at Lincoln Center, where he curates and hosts shows at both institutions celebrating blues, jazz and early American music. In 2016, Miller presented five sold out shows at JALC: "Ma Rainey Meets Miles Davis" and "T Bone Walker - A Bridge From Blues to Jazz." His 2017 plans for the JALC series will be announced soon. Their large horse logo overlooked the stage as the SMB came out of the gate running with "Jungle Love", "Take the Money and Run" and the 1982 hit "Abracadabra" that featured magical leads from Steve. Back to 1968 for a lively take on "Living in the USA". Between the hits and hot licks Miller revealed some history. He recalled in their early days recording 4 albums in 18 months which led the band to look for a quieter place other than California to work. They ended up in Tennessee. Steve recalled having some issues with the locals because back in those days integrated groups were not offered much southern hospitality. This was a good lead in to the heavier and more serious "Jackson-Kent Blues". Next, the SMB presented a slower yet compelling version of "Space Cowboy" followed by "Going to Mexico" featuring more fine fret work from Miller. Before performing "Wild Mountain Honey" Steve shared the story of how he obtained the electric sitar featured on the song. "I Want to Make the World Turn Around" was deep and dynamic. The band soared on "Serenade" and "Shu Ba Da Du Ma Ma Ma Ma" which was played in honor of the recently departed Chuck Berry and James Cotton. Steve switched to a double neck guitar jesting its going to sound twice as good and "Winter Time" sure did. "Since I am in the Ryman, I would like to do an acoustic version of this one," said Steve as he presented a nuanced version of "Dance Dance Dance" that started with a part of "Jet Airliner". The Steve Miller Band rocked the house on a Saturday night in Music City. 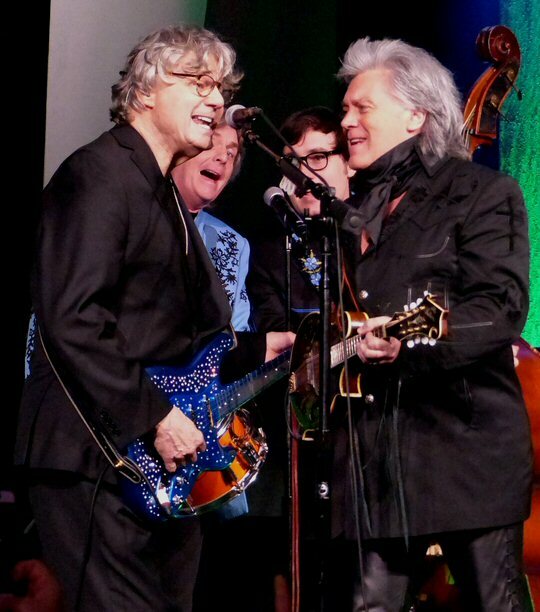 "Such an honor to play with you, this is one of my favorite bands," declared Steve as he was joined by Marty Stuart and His Fabulous Superlatives. The combination of the two groups presented cool, countrified takes of "Going to the Country" and "The Joker" featuring Marty on mandolin. For us this could have been the encore but the SMB still had a few more high flying, fan favorites to play. "Fly Like an Eagle" was still catchy but we realized after all this time that there is a powerful social commentary woven into it that seemed even more relevant in these uncertain times. The SMB closed the set with the crowd pleasing, hand clapping "Rock'n Me" and returned quickly with "Jet Airliner" to land the show on a solid and strong note. The Ryman Auditorium is the Mother Church of Country Music and she continues to host a wide range of artists such as the Steve Miller Band. Upcoming events at the well-respected venue include The Cash Legacy, Jammin To The Beat The Blues, The Mavericks, Passenger, The Decemberists and Opry Country Classics. An historic rock/country hybrid as Marty Stuart joins the band for a few numbers.